Gamestop have the new Xbox One games console at a low prices of just £309.97. Halifax Bank are offering £100 For Free when you switch your current Bank Account to Halifax. Amazon have the Lexar LJDS23-64GABEU 64GB USB 3.0 drive. For only £17.50 with free delivery. One of the smallest USB 3.0 drives available, the high-performance Lexar JumpDrive S23 USB 3.0 flash drive allows you to quickly transfer photos, videos and files with speeds up to 4x faster than standard JumpDrive USB 2.0 drives. * The drive features a slim, retractable design, comes in a range of colours, and is available in capacities from 8GB-64GB. 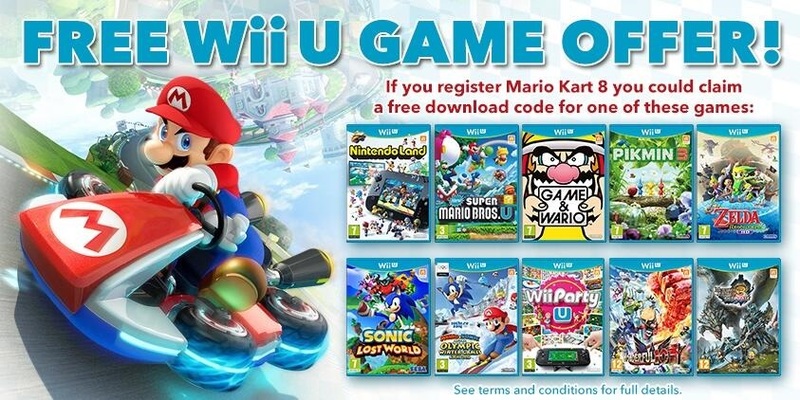 The Wii U Premium pack budle is only £199 at Tescos. Plus you get a full retail game worth £40. Richersounds have the Sony STRDN1040 AV Receiver for an amazing £299.99! Most site have this at around £349.99 but you can get it £49.99 off. This price is not available on Richersounds website. To get it at this price you must phone them at tell your local branch and you saw the advert in What Hi-Fi magazine. CLICK READ MORE for the full details! Tescos.com Click & Collect Now Free! Previously, Tesco.com had charged between £2 - £3 for its click and collect, which was available at 230 Tesco stores. It has been running a promotion where click and collect was free until 27 April, Tesco now says it will remain FREE! Note minimum spend for free delivery is £25 otherwise you'll be charged £4 online. Get £15 off your first online grocery shop. Read more about Tescos.com Click & Collect Now Free! Three are offering to unlock any Three phone for free! There's no time limit on if your with Three's network or just own a Three handset, You could have bought your device today, or several years ago. If it is locked to 3, they will unlock it for you free of charge. Click to see the link. Tesco have the Samsung Galaxy 3 Tablet (7" Version) for only £79.00! The Samsung Galaxy Tab 3 comes in a lightweight design that's extremely thin but packed with power. Samsung offers a 50GB Dropbox that is available to you for 2 years, for free. The tablet also features a MicroSD memory slot to store all your photos, videos and movies. With an expandable device that offers up to 64GB, the Tab 3 offers endless entertainment possibilities that's all matched with a 1.2GHz Dual-Core processor that makes light work of multitasking between several apps. Here is a coupon code for the Gadget Show live which is due to take place next week at the Birmingham NEC. You can get 50% the entrance fee by using this promotional coupon / code! Click to see the code.